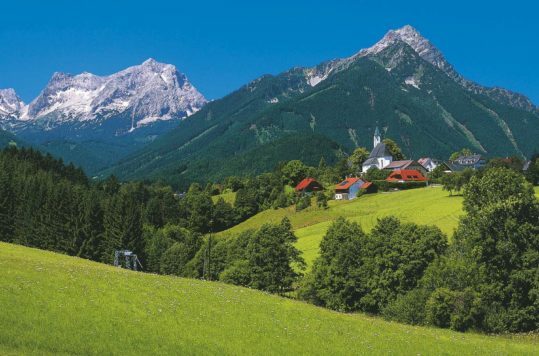 Heiligenbrunn is a little gem tucked away in the south-eastern corner of Austria. 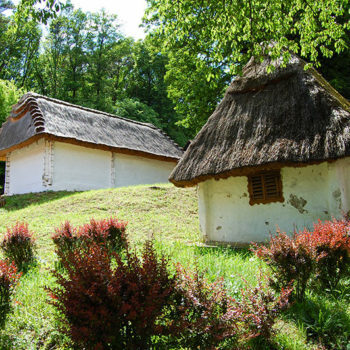 The main tourist attractions are the unique and characteristic historical wine cellars and of course the Uhudler wine. 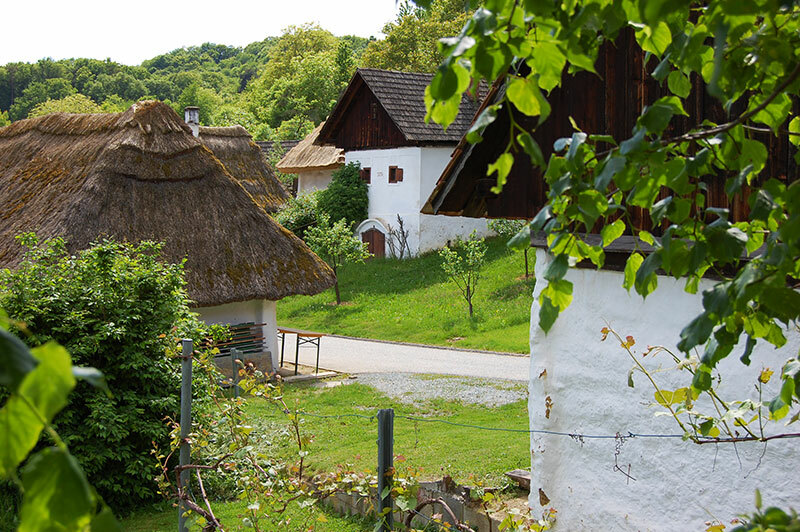 The small village of Heiligenbrunn in Burgenland is located in the transition between the rolling hills that characterize the south-eastern Austria and the vast plains that dominates western Hungary. 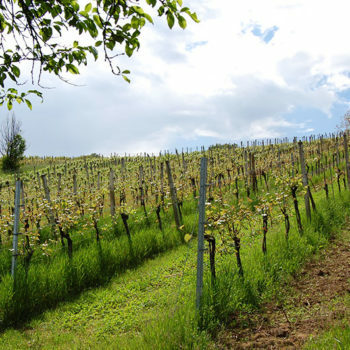 Forests and vineyards dominate the landscape around Heiligenbrunn. 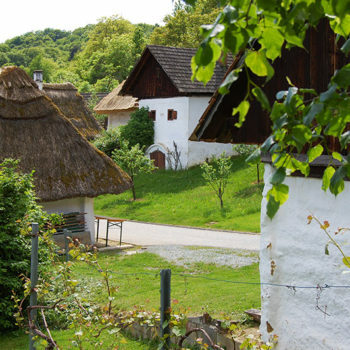 Also the architectural traditions in this part of Austria differ greatly from the well known Tyrolean style houses you find in the Alps. 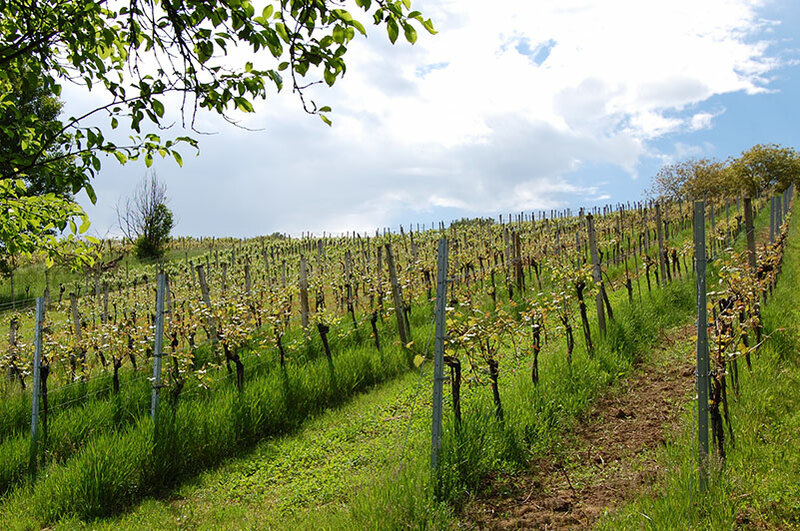 Heiligenbrunn is known for its so-called “kellerviertel” which you find in the vineyards just above the village. 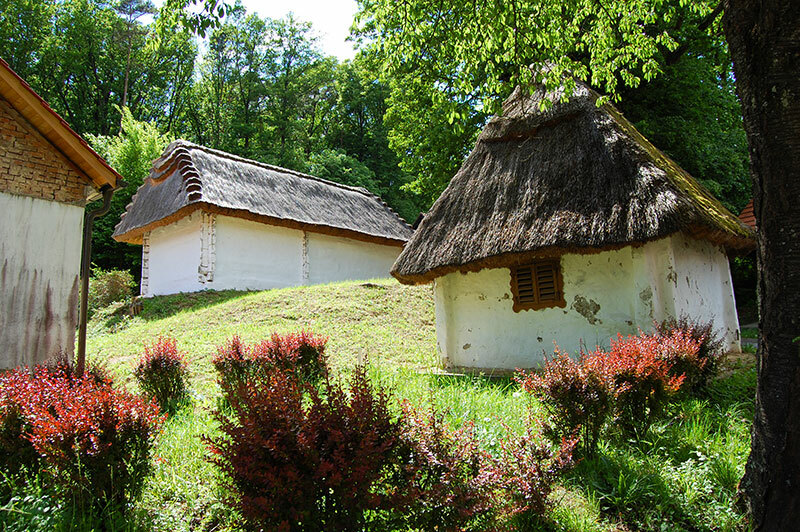 The characteristic small whitewashed houses, many of them with thatched roofs, create a unique atmosphere. Strolling among the picturesque houses, constructed between the 17th and 19th century, is like travelling back into history. Situated on a slope surrounded by forests and vineyards, a cluster of these cellar houses has emerged. These previously served as production and storage sites for the local wine farmers. 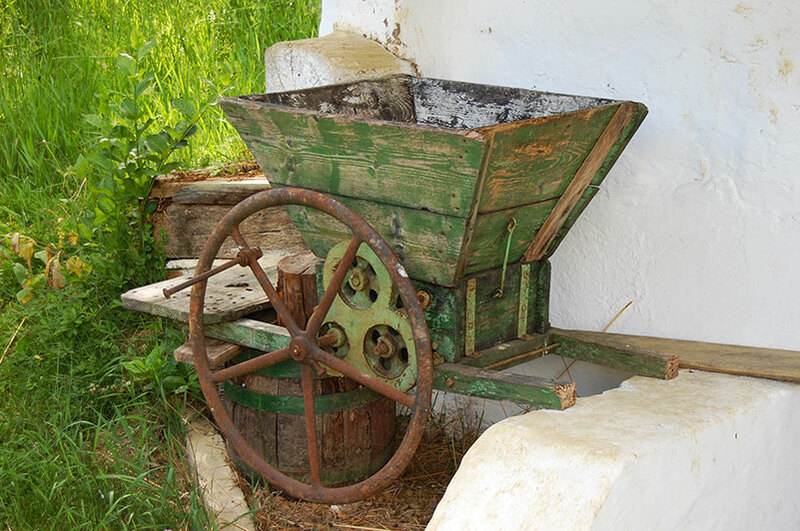 Today the wine production facilities have moved into more modern locations. 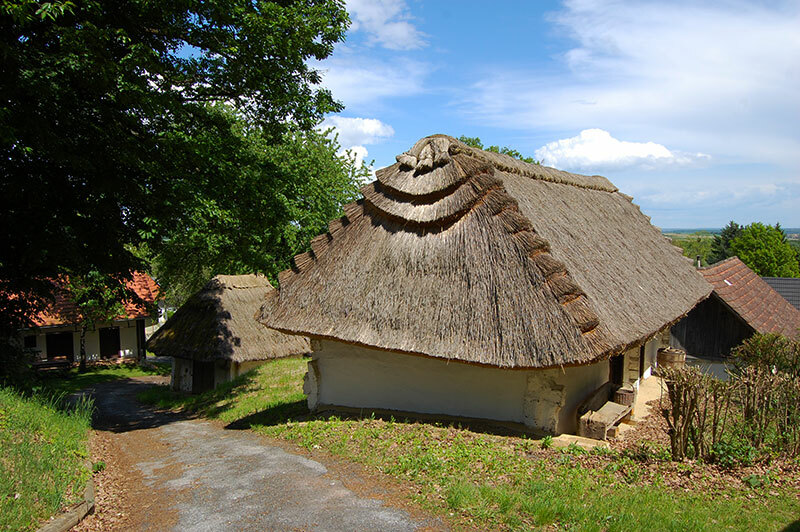 Today, there are still 140 wine cellars, 56 of which have thatched roofs that are protected as historic buildings. Some are completely renovated, while others desperately need some love and care. According to some of the owners we talked to, it’s hard to find people who know the craft of straw thatching and whitewashing. 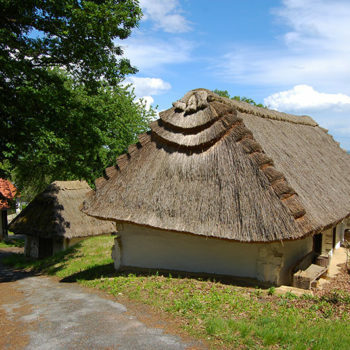 Moreover, this type of preservation is very expensive, even if one receives subsidies from both the EU and the local government. Most of the basement houses are privately owned. 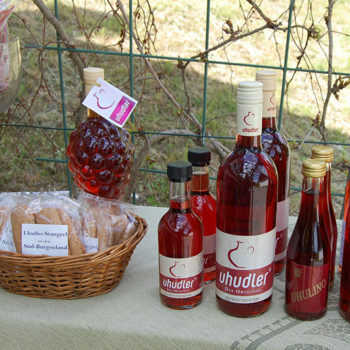 Some work as small wine shops where you can taste and buy Uhudler products. 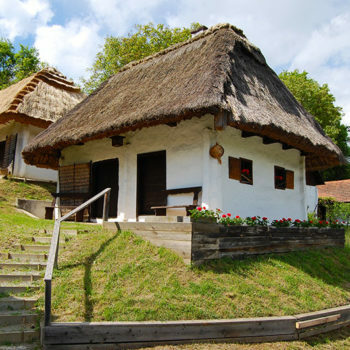 Others have become summer cottages to let and a couple function as museums, where you can see wine presses and other items related to wine production. 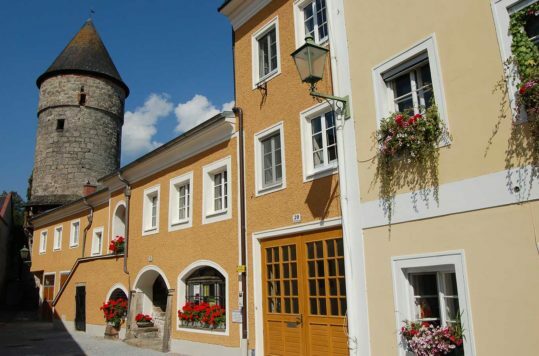 The village was named Heiligenbrunn (the sacred well) after the Ulrich Spring which was discovered by monks and first mentioned in written sources in the 13th century. 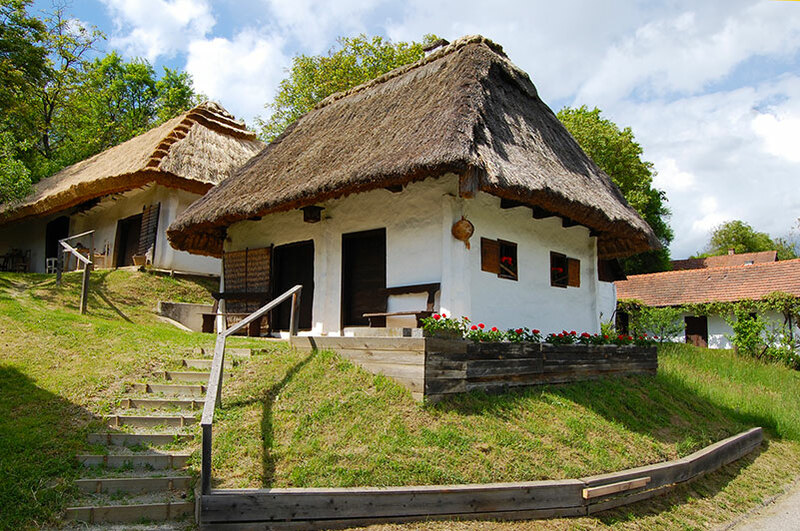 Heiligenbrunn was called Szenkút (Hungarian) until 1921 and belonged to the Kingdom of Hungary, which was part of the Imperial Empire Austria-Hungary. 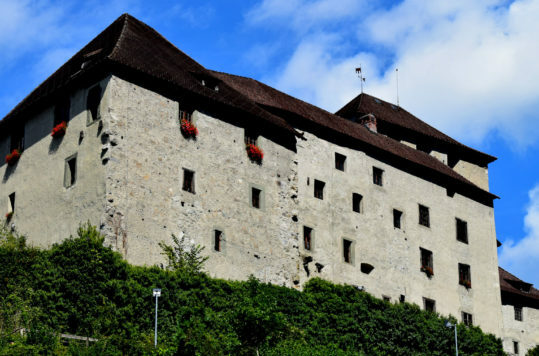 For several centuries the Heiligenbrunn region belonged to Hungarian noble families who ruled at nearby Castle Güssing. Today, the tranquillity of this unchanged cultural landscape, apart from a small trickle of tourists during the summer months, prevails. 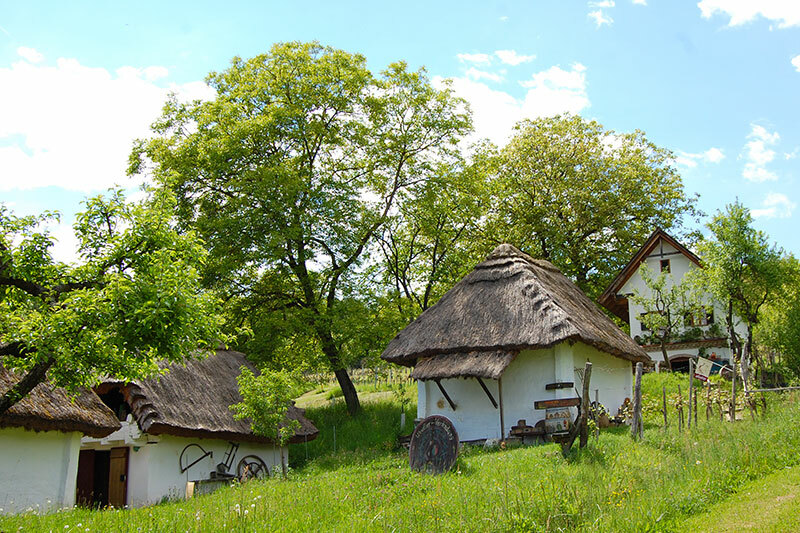 During week days you can stroll undisturbed through the idyllic hamlet, soaking in the love landscape and peculiar architecture. 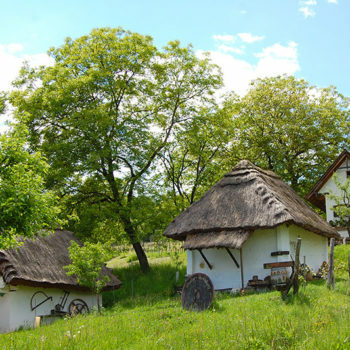 However, twice a year there is an organized chaos in the hamlet of 265 inhabitants. 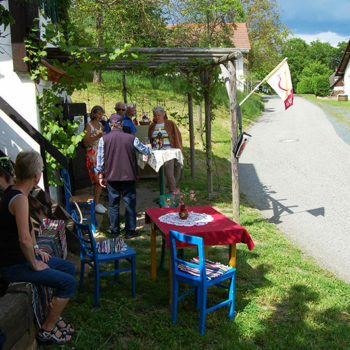 The summer party in July and the Wine festival in September entice thousands of visitors to the region to celebrate the local and very distinctive wine Uhudler. 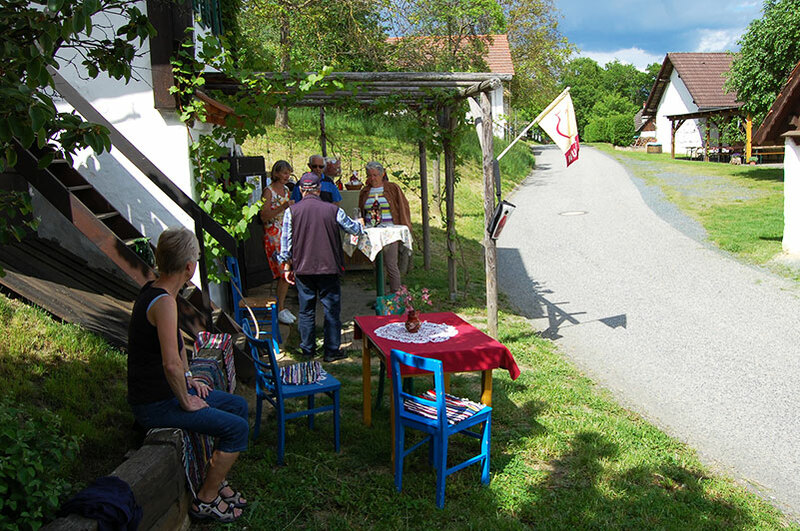 One of the most distinctive wines produced in Austria, Uhudler originates from the area around Heiligenbrunn in southern Burgenland. 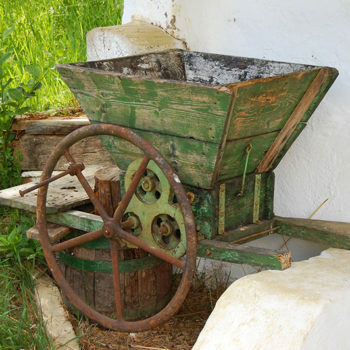 Uhudler wines are usually made red or as a kind of rosé from the Noah, Isabella, Concord, Clinton and Delaware grape varieties. Many will immediately recognise that the grapes have American names. These grapes were imported from the United States to Europe after wine louse had destroyed much of the European vines in the 1860s. The fruity Uhudler wines have an intense aroma of strawberries, forest berries or blackcurrants and is preferably drank cold. 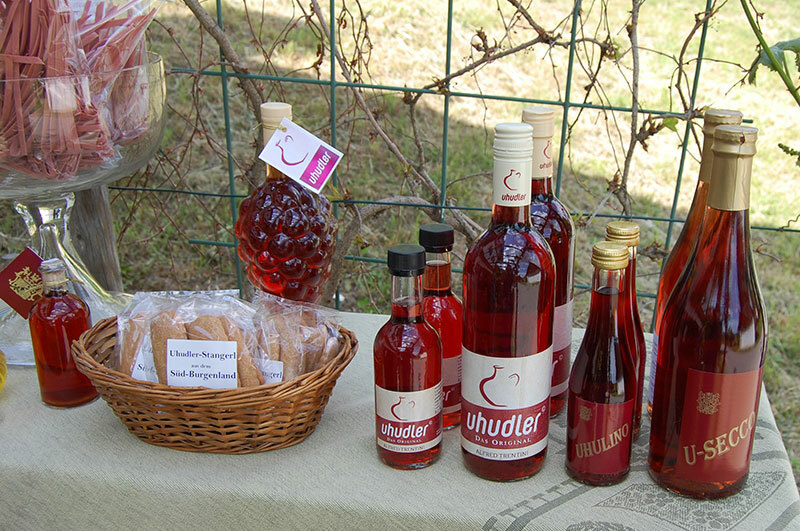 Although Uhudler is primarily a kind of aperitif wine, it also goes well with chocolate, sausages and cheese.